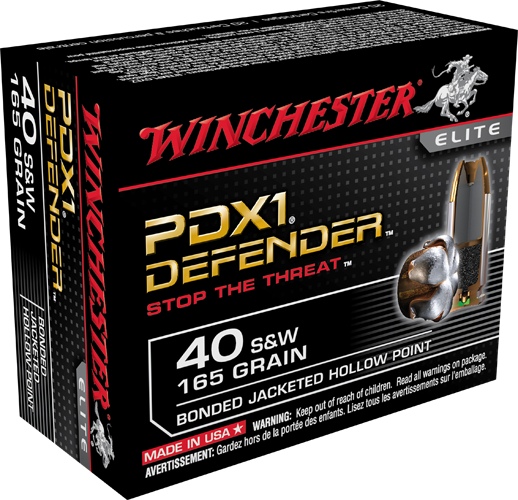 Winchester PDX1 Defender is one of the best civilian loads for self defense situations. The proprietary bonding process provides you with a projectile capable maximum expansion 100% weight retention. Bonded bullets are also able to penetrate glass and some light barriers while maintaining their shape, weight and trajectory. This hollow points feature a notched jacket to ensure uniform petal expansion. Next time your life is on the line trust Winchester Defender to stop the threat!.